It’s so easy to get caught up in daily routine and forget to stop and enjoy what our beautiful city has to offer. So this month, why not try something completely new with the whole family? Read on to discover family-friendly activities happening all around Vancouver and the Lower Mainland in June. Some will just shake up your routine a bit, while others might drag you right out of your comfort zone and into something amazing. Try one or try them all! Learn to draw – outside! If you find inspiration in nature and have always wanted to give drawing and sketching a try, then this is the perfect workshop for you. VanDusen Botanical Garden is hosting an all-day drawing workshop on June 25th that will take place both inside the glass house next to the iconic herb garden and outside amongst the botanicals. If this doesn’t inspire you, we’re not sure what will! You will receive expert instruction through the fun activities they have planned. This is a great experience for anyone who wants to learn, so sign up with an artsy friend or family member and get drawing! For more information and registration, visit the VanDusen Botanical Garden website. 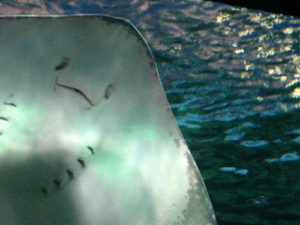 The Vancouver Aquarium is educating and delighting visitors with a large petting pool filled with gentle but curious stingrays. For a truly unique experience, stick your hand in the pool and let the rays brush up against you as they fly past. Suitable for all ages and safe for everyone, this event brings the mysteries of the sea right to your fingertips. For more information, visit the Vancouver Aquarium’s website. Vancouver is known for having great sushi, so there is no better setting than this to learn how to make sensational sashimi yourself. 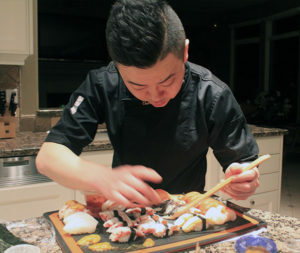 Renowned sushi chef and world class instructor Charlie Lee is teaching Vancouverites the art of sushi and sashimi in exclusive locations around the city, using only the highest quality ingredients. Perfect for date night or an evening of fun with a foodie friend or family member, these classes are great for all skill levels and are a unique way to creatively experience your food. Visit Sushi and the City for more information and to sign up for upcoming classes. RUSH is back for another year of exhilarating fun! Join the hundreds of Vancouverites who will be scouring the city’s streets for clues and overcoming challenges in the city-wide scavenger hunt on June 11th. It’s not too late to register a new team so sign up with your friends and family and you may have a shot at winning the grand prize—a trip around the world! As an added bonus, all donations raised by participating teams will be donated to charity. 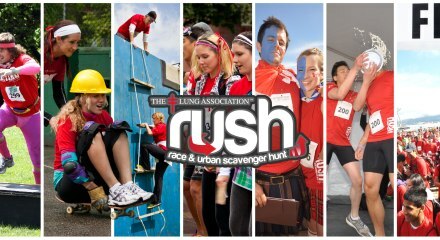 For more information and to register your team, visit the RUSH website. Lots of people love yoga! 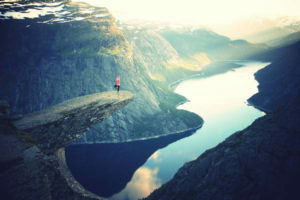 And there’s nothing like a change of scenery to re-focus your yoga sessions. If you’re new to it, there isn’t a better setting to try out this beloved and relaxing practice for the first time. 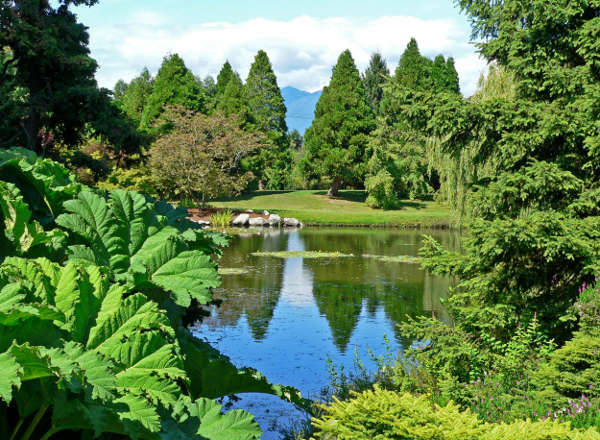 VanDusen Gardens are hosting Hatha style yoga sessions with professional instruction and a beautiful setting every week for the next two months. Classes are suitable for anyone and everyone so why not give it a try? Gorgeous, but not nearly as close as Vandusen Gardens! Classes are every Thursday evening from 5:45pm until 7pm and you can either attend each one at a set price or drop in whenever you like. Visit the VanDusen Botanical Garden website for more information and directions. Wake up your inner lumberjack with axe throwing! 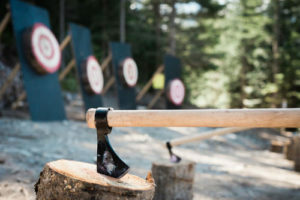 The base of the Sea to Sky Gondola is the setting for an axe throwing tournament happening every Saturday until June 18th and it’s open to anyone and everyone willing to give the sport a try. Learn proper technique and aim for targets in an exciting, but professionally controlled, environment. If you’d like to give axe throwing a try but don’t want to do it at the tournament, not to worry. The axe throwing company THROWN not only does tournaments but is also available for hire throughout the year. For more information about the tournament or axe throwing in general, visit the THROWN website. Skydiving. It’s likely something that you have thought about doing at least once before, but have you ever made the final leap? There really is no time like the present, and the Lower Mainland is the perfect setting for skydiving, with beautiful scenery, wide open spaces, and some of the best professional skydiving instructors there are. Enlist some friends or family members and make a day of it! Whether you are considering your first jump ever or are a skydiving veteran, almost nothing can compare to the thrill of jumping out of a plane. There are many skydiving companies throughout the lower mainland, the majority of which are based in Abbotsford. 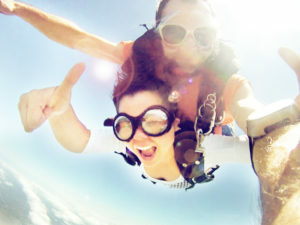 Check out Skydive Vancouver for one of the highest rated skydiving companies in the area. Have we missed something great going on in Vancouver and the Lower Mainland that you think people should know about? Let us know!